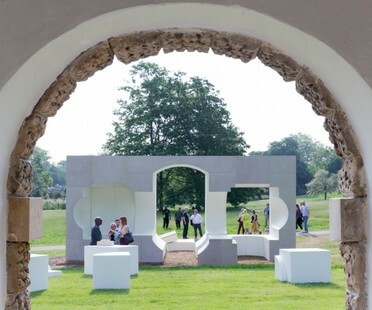 The Summer House designed by architect Kunlé Adeyemi of NLÉ for the 2016 Architecture Programme at the Serpentine Gallery in London might be interpreted as an “inverse replica” of Queen Caroline’s Temple, the 1743 temple attributed to William Kent which inspires all four of the Summer Houses. Yona Friedman’s Summer House designed for the Serpentine Gallery’s 2016 Architecture Programme in London is a modular structure which may be taken apart and put back together again in new ways. The units can support polycarbonate panels which contain objects and transform the construction into a mobile museum or exhibition. Inspired by Queen Caroline's Temple, a little stone building in neoclassical style built in 1743 and attributed to William Kent, Asif Khan’s Summer House built in the gardens of the Serpentine Gallery for the 2016 Architecture Programme is a place that encourages visitors to establish an intimate relationship with the landscape and with their own inner thoughts. 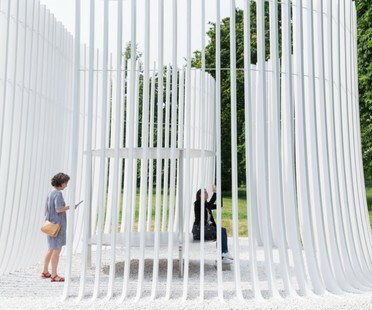 The Serpentine Gallery’s summer programme and the facilities built to contain it, BIG Bjarke Ingels Group’s Serpentine Pavilion and NLÈ, Yona Friedman, Asif Khan and Barkow Leibinger’s Summer Houses, were officially inaugurated on June 10. No Man's Land is Land Art and participation combined, making the most of the territory and matter together, a gift of the great artist and architect Yona Friedman working with artist Jean-Baptiste Decavèle and constructed on two hectares of land in the Abruzzo countryside of Pescara. On February 10 the Serpentine Gallery announced that the 16th Serpentine Pavilion would be designed by BIG, Bjarke Ingels Group. 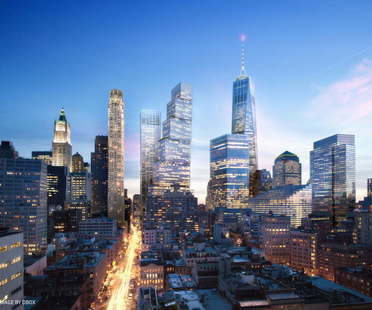 This year’s Pavilion will be accompanied by four "Summer Houses" designed by four more architects.